This is not the easiest of pairings. As a matter of fact, it is touted as the most difficult match in the zodiac. Sagittarius is a fire sign and a Sagittarian is a jovial, generous and optimistic individual. On the other hand, Pisces is a water sign and the Piscean’s flood of emotions dampens (and may eventually put out) the fire of a Sagittarian. Essentially, in this match exists a battle between the emotional nature, mysticism and nebulous dreams of the Piscean and the intellectual nature, and optimism of the Sagittarian. In this relationship, both partners operate on different levels and are worlds apart in their ways. When true love exists between both signs, it will bring out the best in both partners. Sagittarius will defend the more vulnerable Pisces, while Pisces will open Sagittarius’ eyes to the power of sensitivity, and compassion. 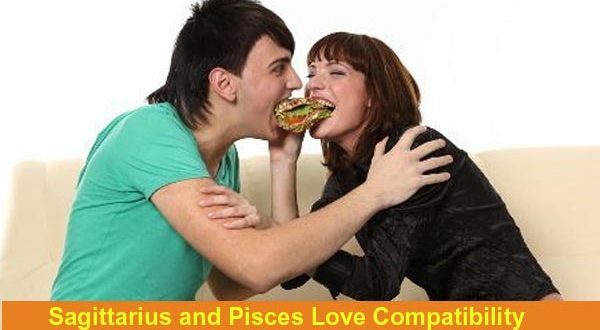 Both signs may learn a lot from one another and grow as individuals; however, the harsh reality is that these signs are irreconcilably different and a Sagittarius-Pisces relationship is not likely to last. Both signs are mutable signs and to a certain degree, will be willing to make adjustments and compromise for the other. However, with both partners compromising, neither partner may actually be happy. Also, Sagittarians are sociable and love to flirt. This will not sit well with the more introverted and unsociable Pisces. Pisces will find it difficult to acquiesce to the emotional and sexual freedom that Sagittarius demands.